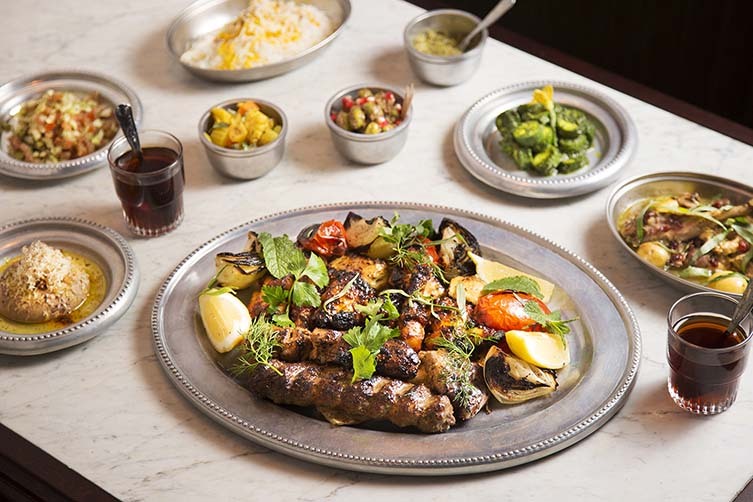 “Every Iranian will tell you that their mum’s cooking is the best,” says Kian Samyani, founder of Berenjak, a Soho eatery that reinterprets the classic hole-in-the-wall kabab houses of Tehran. 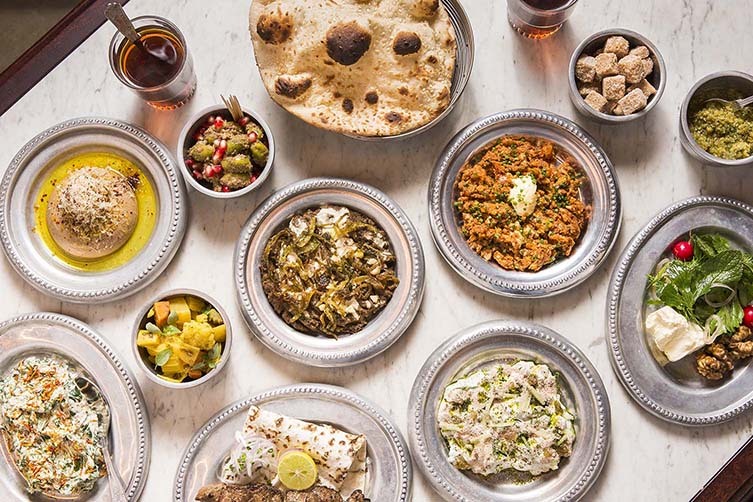 Growing up making childhood memories around dinner tables surrounded by family, Kian draws on his heritage to evoke the style of a rustic Persian kabab house using seasonal British produce. 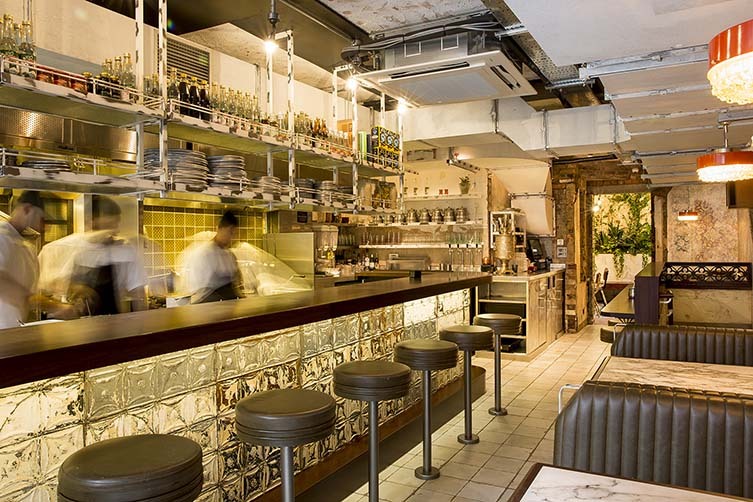 Named after the handfuls of brightly-coloured toasted rice eaten as a snack in Iran’s funfairs, diners enter Berenjak by ducking through a reimagined, typically Iranian shopfront, before being greeted by an open kitchen; a bevy of bustling chefs working the flaming tandoor, mangal barbecue, and vertical rotisserie. 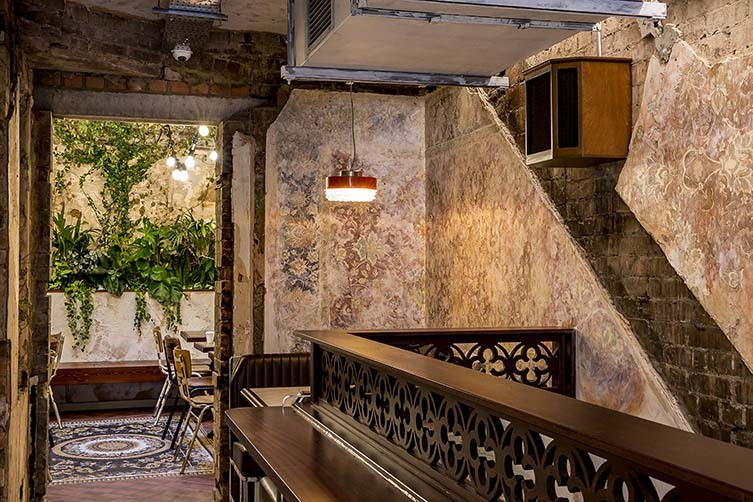 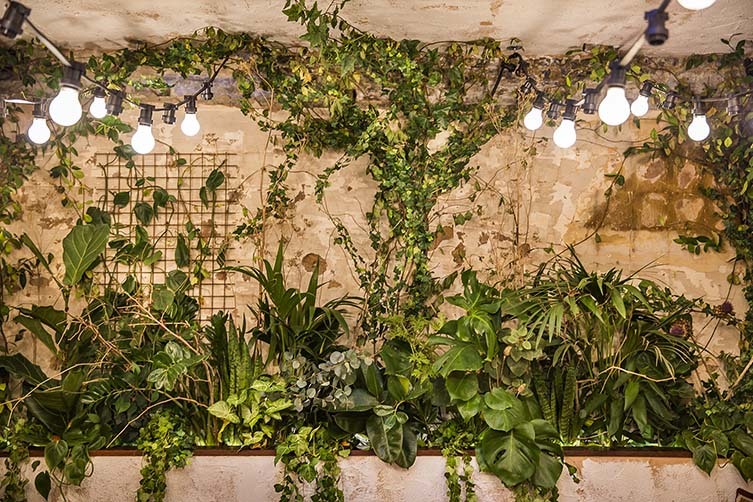 Industrial interiors such as exposed brick walls and stained glass windows are softened by a Persian-inspired mosaic floor, candlelight, and lashings of greenery. 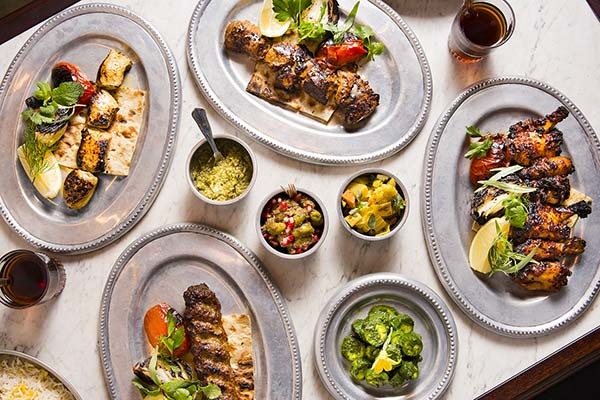 With seating at the kitchen counter or around small reclaimed marble and bronze tables, diners can settle in and treat themselves to an assortment of small plates before moving on to a traditional kababs—the Koobideh with minced goat shoulder, onions and black pepper particularly droolsome—which are accompanied by a selection of sides, spices, dips, pickles and handfuls of herbs; a big old nod to Samyani’s younger years and those elbow-to-elbow dinnertimes.